Susan Delaney’s The Scratching Post is a funny, poignant, and eye-opening work of fiction. Sally has dedicated much of her life to strengthening a charity whose aim is to care for and protect sick, abandoned and maltreated cats. She faces more obstacles than one might think. Not only from the ignorance of the human beings around her about the needs and proper care of cats, but also from malicious enemies who wish to take over the charity for their own ends, as well as dishonest or unstable employees. What makes the book such a charming story is its being told, in large part, from the perspective of the cats themselves. Creatures who, in this sympathetic and imaginative portrayal, each take on their own distinctive characteristics, habits, and mannerisms. 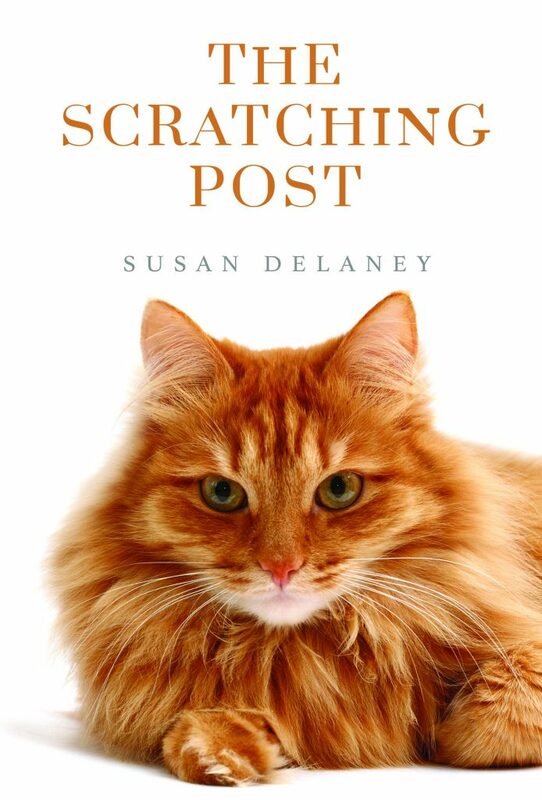 Readers may well fall in love with Comfort, Banjo, Pickles, and the other cats described in the pages of The Scratching Post. Susan Delaney has worked with rescue cats since she was ten years old. Breaking away from a large well known organisation, she became the founder of the charity ‘The Scratching Post’, which she founded in 2004. The amount of time Susan spent with the rescue cats inspired this book to be written. What a wonderful book. It did indeed make me laugh and cry as promised on the cover. I started reading it last Saturday and had to finish it the same day. The fact that it is a true story made it even more special. I believe the cat sanctuary is in Waltham Abbey, but it was lovely to read about the chickens being rescued by Susan from near to where I live in Norfolk – I always wondered what happened to them! I now follow the centre on Facebook and I am in awe of their dedication and devotion to the cats. If you are an animal lover, you will enjoy this book. This is an absolutely brilliant book that will send you on the most ecstatic rollercoaster journey. An absolute pleasure to read, and outstanding writer. I have already highly recommended this book to other people who too have said they simply couldn’t put the going down. BRILLIANT!!! Such a lively record of the setting up of this cat charity. Delightful. Wonderful. Will make you laugh and cry and sometimes on the same page. Great read. Very amusing and informative as well as well written. Read it some time ago, and my friends can expect copies for Christmas! Wonderfully written, you’ll smile, laugh & cry and fall totally in love with the characters. Amazing. I was gripped to the book from the start. Wonderfully written. I cannot wait to read it. Fantastic book. Could not put it down. So proud of my beautiful wife, a truly talented author with many more stories to tell. Watch this space. Fabulous read. Could NOT put this book down. A must for any animal lover!!! I am not related to Steve Hayes married to Sue – but I can definitely say this I a really heart warming book to read – for young and old. You do not have to be fond of cats to love this book. Highly recommended! Brilliant book and wonderful cat rescue centre. They do a great job. Very pleased with the cat we adopted from them two years ago. We support them as much as we can. Funny, sad and eye-opening. Very well written and totally absorbing. A must read for anyone. Everyone should be thankful there are people who do this to save the animals! The sheer determination of these volunteers is wonderful and this book just shows the hardwork they have and continue to put in! A wonderful read. A book to make you feel everything, from happiness, joy, sadness and everything in between. Reading from a cat perspective is an entirely new experience and one I would love to do again. Fantastic read. The author is a genius. Loved how it was written from the cats’ perspective… Susan has put so much thought in developing their characters… We now know what cats really think about us humans! And yes, tears rolled both from laughter and sadness. If you need a good laugh and a good cry, this book is purrfect! Lovely to read this well written and factual book. Nostalgic. for me as I too once belonged to the well known cat charity the book refers to. I also left sadly and suddenly but went on to rescue at my home for 15 years and more…… I understand the hurt and heartbreak that rescue brings but also the feelings of relief and pleasure . I follow Scratching Post on Twitter,and try to give when I can. Well done, Susan and the very best of wishes to you and your helpers in everything you do to help these beautiful animals. If you only read one book this year, make it this one. It has everything all in the one book. Loved this book, it really gets the best of your emotions, from laughing to crying, I’m not an avid reader usually but couldn’t put this book down, can’t wait for the next one. I loved this book and cried at the end when one of the old cats died. I thoroughly enjoyed it. This book helped inspire me to volunteer. Written from the Cats point of view, it takes you on a roller coaster of emotions. It also give you a deep insight into human nature, highlighting how heroic and how evil people can be. Susan and her Mum are Super heroes and I am privileged to have been able to become a small part of this centre and its amazing team of staff and volunteers. This book is truly worthy of the prize and Susan and The Scratching Post Rescue and Re-homing Centre are deserving of the recognition for all they do. Fantastic Book! Full of ups and downs, really brings a good focus to charities too, which is so important. Very funny but so sad at times. A must for cat lovers. Great book for cat lovers, humorous, sad and insightful. Wonderful book. Such a great story. I really enjoyed it and hope there is s sequel following the lives of the cats in the shelter.